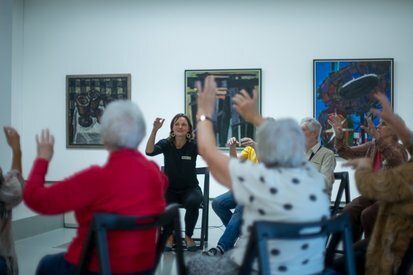 ​“Museums, Art & Alzheimer” is a European project which seeks to increase accessibility of art and museums to people suffering from Alzheimer‘s or other dementia forms, as well as their family members and carers. The project encourages collaboration between the sectors of culture, social security and healthcare, and contributes to creating a society that is considerate to such people. The project seeks to contribute to the creation of well-being of people suffering from Alzheimer‘s and their carers, and further the awareness about the disease in the society. “For people with dementia, non-pharmacological interventions are particularly important, especially communication”, emphasises Dr. Jūratė Macijauskienė, gerontologist at the Geriatric Clinic of Lithuanian University of Health Sciences. Experience gained through the project implementation shows that, currently, a large proportion of people caring for patients with dementia lack knowledge of how to communicate in such circumstances. This Erasmus+ programme project questions how experience at the museum can positively influence the everyday life. The project goals are focused around communication between individuals suffering from dementia and their carers or family members. Experience of collaboration with international partners and social work specialists in Lithuania showed that museum activities can have a positive effect on communication and relations in a habitual environment. Direct project target groups: art museums educators, people with dementia, their carers (social workers specialising in working with people with dementia) and family members. To provide knowledge and practical skills to museums educators working with educational information concerning the development of programmes for people with dementia and their carers. To create opportunities for people with dementia, their carers and family members to learn about various ways of communication (verbal and non-verbal), and how to appky those in the museum context. 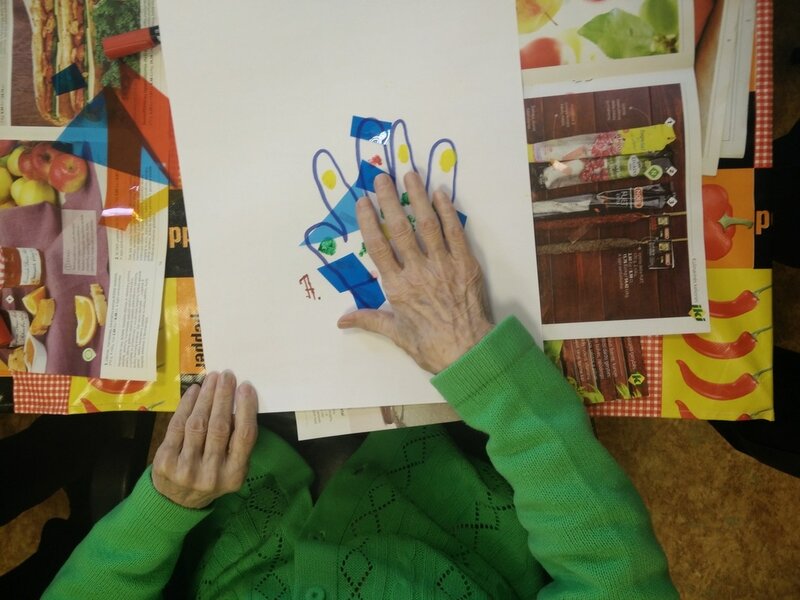 Creating new possibilities of self-expression, socialising and communication for people with dementia. Improved communication between people with dementia, their carers, and family members. Acquired skills and abilities to hold museums activities that would improve communication between people with dementia, their carers and family members. Improved online learning skills of project target groups. Information guide for museums educators concerning the development of programmes aimed at people with dementia, their carers, and family members. Information guide for carers and family members of people with dementia about applying art in encouraging verbal and non-verbal communication. Learning Event in Florence (Italy), March 21-25, 2016. Duisburg (Germany), November 27-29, 2015. Vilnius (Lithuania), September 1-3, 2016. Kilkeny (Ireland), February 16-18, 2017. Florence (Italy), May 25-27, 2017. Project results will be presented at the international event titled “Accessible Art: Museums, Communities & Socially Excluded Groups”, on 14-15 June 2017 at the National Gallery of Art in Vilnius.